Blockchain this and that. You hear it all the time now. I get pitched a few times per week, or sometimes per day, on new game startups that are using the security and transparency of the decentralized ledger technology. None of them realize that they’ve already become a cliché or that someone else pitched me with the same idea a week or a few months ago. Blockchain is software that gives companies a ledger where they can record and verify transactions among multiple parties without using intermediaries like brokers or exchanges or app stores. At companies such as IBM and Disney, it’s being used by big companies and small startups alike to fashion disruptive ways to do commerce. 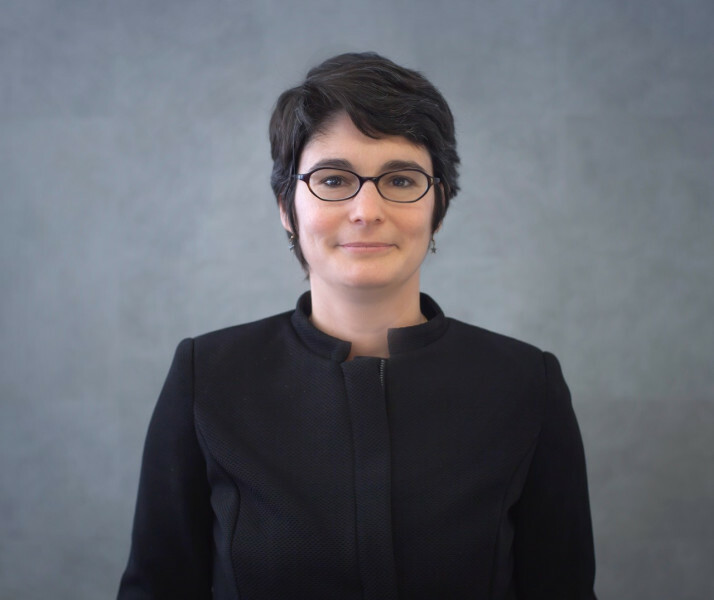 IBM has 1,500 blockchain experts working to make a type of open source blockchain called Hyperledger into the foundation for commerce. In gaming, the French video game giant Ubisoft is working on blockchain technologies with startups in France, and it is sponsoring an upcoming Blockchain Game Summit in Lyon. Ubisoft takes pride in taking more risks than a lot of its rivals, and now it wants to lead in blockchain innovation. The blockchain and gaming news is coming in hot, and I’m starting to recognize some patterns in these companies. First, if you recall, the investment fads have come and gone in games. First it was Facebook games. Then iPhone games. Then virtual reality games. Then augmented reality games and esports. 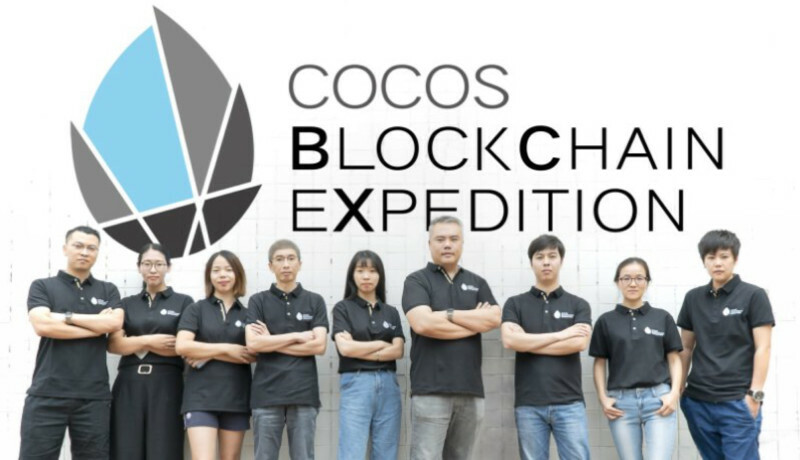 Now I’m seeing multiple game blockchain investments happening every week or so, such as Beijing’s Cocos-BCX raising $40 million to develop a blockchain gaming platform. That’s just one of many game-related blockchain fundings. Animoca Brands bought the Sandbox game maker Pixowl for $5 million for its blockchain potential. “We at Pixowl and The Sandbox believe blockchain gaming has incredible potential and we are particularly excited about Non-Fungible Tokens (NFTs),” said Sebastian Borget, cofounder of Pixowl. Blockchain is hot for investors, but that’s a little suspicious as it reeks of being a fad. Blockchain conferences have sprung up everywhere. Because I’ve written about blockchain companies, I’ve been invited to cover, moderate panels, or speak at blockchain events in Las Vegas, Bali, France, Singapore, Dubai, Santa Monica, Scottsdale, Silicon Valley, London, Los Angeles, and San Francisco. And here’s a news flash: I’m no expert. Many people who pretended to be experts raised money through initial coin offerings (ICOs, where people bought cryptocurrency coins on the assumption they would be worth something). From early 2017 through May 2018, cryptocoin deals raised more than $9 billion, according to the Satis Group. So far this year, blockchain startups have raised $1.8 billion in VC funding, but ICOs are also disrupting venture capital. But often the entrepreneurs ran off with the money. The Wall Street Journal reported in May that of 1,450 ICOs it analyzed, 271 had serious red flags such as plagiarized investor documents or fake executive teams. Regulators from China to the Securities and Exchange Commission in the U.S. are cracking down on ICOs. Many companies are shifting over to token sales, some that are backed with real assets. Some are trying to develop stable coins, or those without wild swings in value that make commerce difficult. Cointopia is trying to gather trusted blockchain services in a marketplace. Blockchain companies have trade-offs to deal with. The early implementations of blockchain in cryptocurrency, such as Bitcoin and Ethereum, exhibit this problem. Decentralization leads to secure and transparent transactions, but it also slows the process down and makes it more expensive. Different kinds of blockchain have been dreamed up to solve these problems, often layering different features that can make the technology more useful. Hedera Hashgraph has created an alternative to blockchain, dubbed hashgraph consensus technology, that can solve these problems. It can also build trust by creating a governing council with representatives from dozens of big companies in a variety of industries. And for that, it raised $100 million. 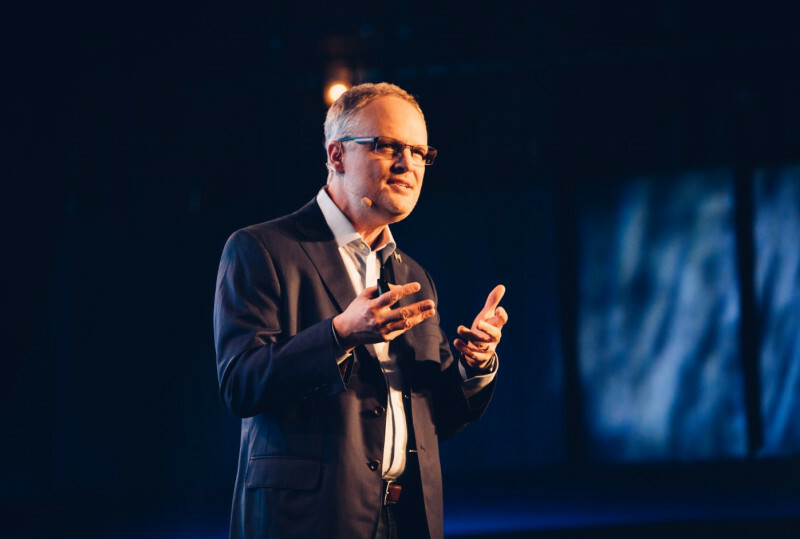 Jerry Cuomo, IBM Blockchain vice president, told me in an interview that an enterprise-ready blockchain needs to be open and interchangeable, accountable, private, fast, secure, and scalable. About 70 networks are operating on IBM’s Hyperledger Project because it has those features. But none of these new kinds of blockchains and the accompanying cryptocurrencies have gained traction in a big way with consumers, which is where they bear relevance to gaming. Blockchain applications aren’t easy for consumers to use. A bunch of wallet applications are emerging that allow people to trade cryptocurrencies on their smartphones. But these can come with transaction fees, and they could slow and make more expensive the transactions that should be happening by the millions each day in games. CryptoKitties burst on the scene in December 2017 with the debut of its collectible cats. You could buy and sell them, and some of the kitties started going for prices as high as $200,000. That crashed the Ethereum network, slowing transactions to a crawl, and forced CryptoKitties to increase its transaction prices. Consumers need something motivational, such as mining for riches, to adopt cryptocurrencies or blockchain in some form, Cuomo said. If we suppose that blockchain gets past its regulatory problems, its technological issues, its scalability problems, and gets adopted, then we can start thinking about putting some of these imaginative blockchain ideas to use in gaming. 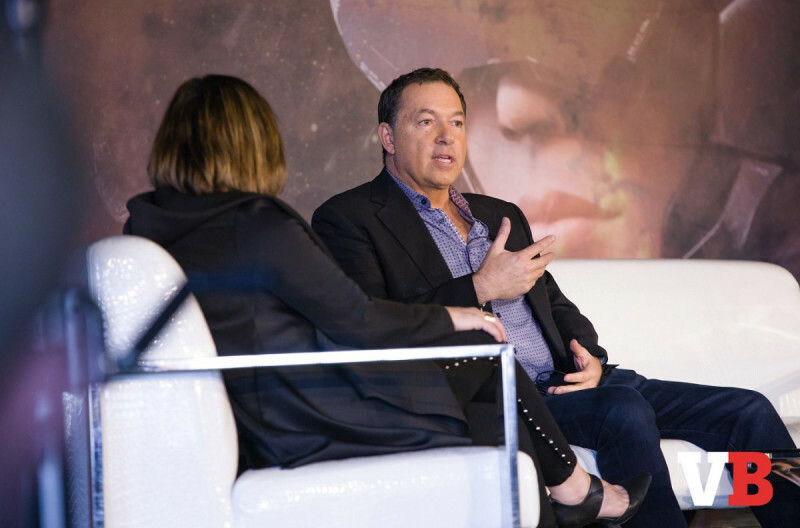 Brian Fargo, CEO of InXile, has been working on games since 1981, and he plans to retire soon. Yet he heard the blockchain siren sing, and he unveiled a blockchain startup, Robot Cache, early this year to get gamers to adopt a new cryptocurrency. He is setting up an alternative app store that will only charge 5 percent transaction fees for PC game sales, instead of 30 percent on Steam. Robot Cache could pay royalties in hours instead of 60 days, create a reward system for gamers, discount merchandising for publishers, and enable a used game trading system where gamers can get a 25 percent cut and publishers can get a 70 percent cut. Lots of rivals are now doing the same thing with crypto and blockchain. But the challenge is getting games that people want to buy. Fargo hopefully has connections to make that happen. A certain freedom comes with blockchain-based ownership. Stephen Ip, a game entrepreneur, said that the ability to create mods and services without a central authority or platform shutting you down or changing their model is a big deal. Without the protections of blockchain ownership, the platform owners can cause you to lose your service, such as what happened to Steamspy when Steam changed its services. 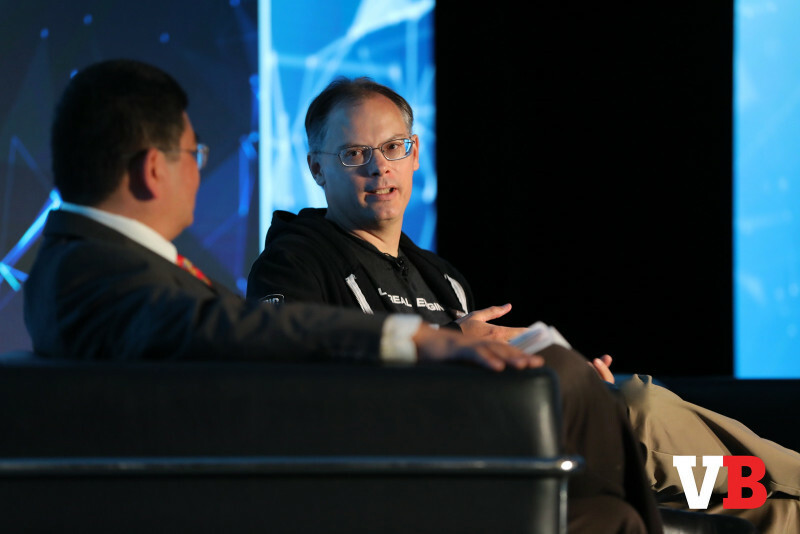 Tim Sweeney, CEO of Epic Games, has said that blockchain could be the underlying technology for the Metaverse, the virtual universe envisioned by Neal Stephenson in his 1997 novel Snow Crash. Sweeney was intrigued by Ethereum because it enabled smart contracts, or programs, to run on the blockchain, which could eventually become a blazing fast distributed computer that combines the power of everyone’s computers. And that would power the Metaverse or the world of Ready Player One. Jules Urbach of Otoy hopes to take such a global cloud-based computer and turn it loose on rendering graphics. It could become a tool to enable anyone to build awesome game worlds and the beautiful, ray-traced objects and environments within them. Similarly, iExec, a startup at the Station F accelerator that Ubisoft is collaborating with, is a blockchain-based decentralized marketplace for computing resources. It’s allowing anyone to monetize their computing power, Seys said. And Jez San, CEO of Funfair, is using the transparency and security of blockchain and the smart contracts on Ethereum to create online casino games that use random number generators that are transparent. In other words, blockchain ensures no cheating happens in Funfair’s casino games. Philip Rosedale, CEO of virtual reality world firm High Fidelity, and game developer Ed Annunziata of Playchemy are separately hoping to enable characters to be moved across worlds. Rosedale envisions a system where the merchandise you buy can be moved from platform to platform. Annunziata wants to allow players to take their own creations in virtual worlds and move them to other worlds, particularly if one world shuts down. No longer would the game company own the assets and simply let the players use them. The blockchain could authenticate ownership of the avatars or merchandise, so no one can copy or steal your items. Puck at Ubisoft believes blockchain can help players push the limits of what it means for a game to be truly open. One interesting idea with application in gaming and big social media companies like Twitter comes from a blockchain startup called Authenteq, which has an account verification system that could be used for online games. Authenteq CEO Kári Thor Runarsson thinks it could be used to stop online trolls, who have become a curse for the game industry. You sign up through them and they authenticate who you are through a picture of yourself and a picture of your ID. They associate the two together and come up with a hash string for the blockchain. If Twitter needs to verify your identity, they go to that hash string and it says yes, this is a real person. But they may also get a reminder that they recently banned this person. That person now cannot open a second account on Twitter. But Twitter never handles those details, the photo or the personal information. They just get an answer from the blockchain. It proves a fact, without divulging private data. Verses has also come up with blockchain-based property rights in augmented reality. If companies build out the virtual environment in augmented reality, with an anchor in the real world, they could build virtual property on top of your house. Verses believes that you, the real world home owner, should own that virtual space as well, so somebody doesn’t put a virtual liquor store on your property that causes a lot of undesirables to show up at your real property (recall that problem happening with Pokémon Go?). Other developers are moving ahead, full blast. 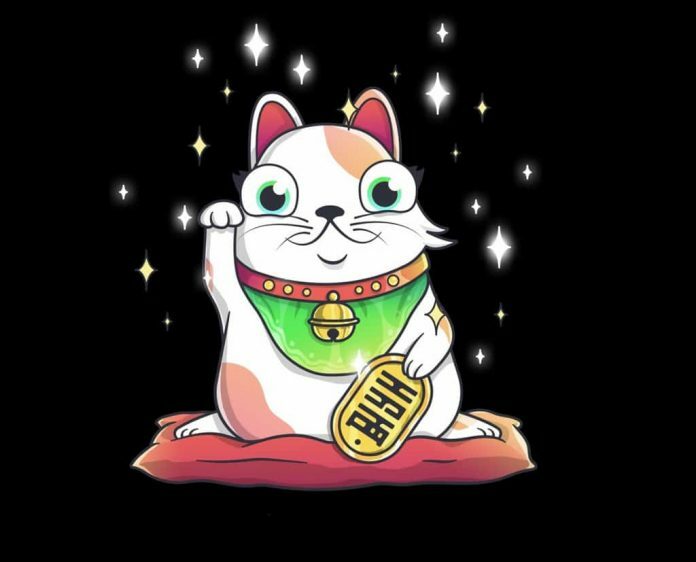 CryptoKitties has raised money and is trying to launch a full KittyVerse ecosystem with dozens of developers who can build games on top of its collectibles platform. Kik, the messenger service company, created its Kin cryptocurrency last fall, and it recently launched its Kinit app on iOS to let people earn and spend cryptocurrency inside apps, using a kind of gamification. Kin also has dozens of developers working on consumer cryptocurrency apps. Blockchain may be able to work wonders, though it’s probably not going to work miracles, or become a substitute for a good game.